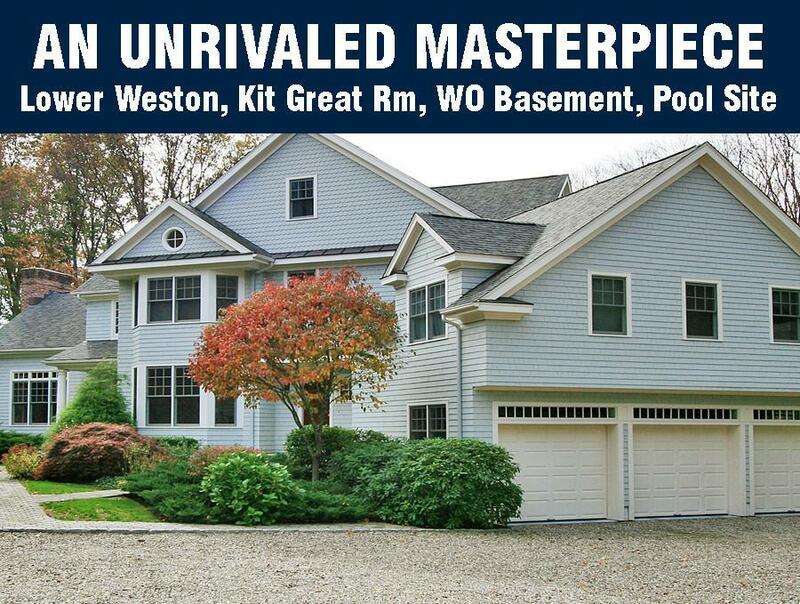 An amazing, newer, custom Colonial residence set on almost 2.5 park-like acres, on a coveted cul-de-sac in lower Weston, with a pool site. 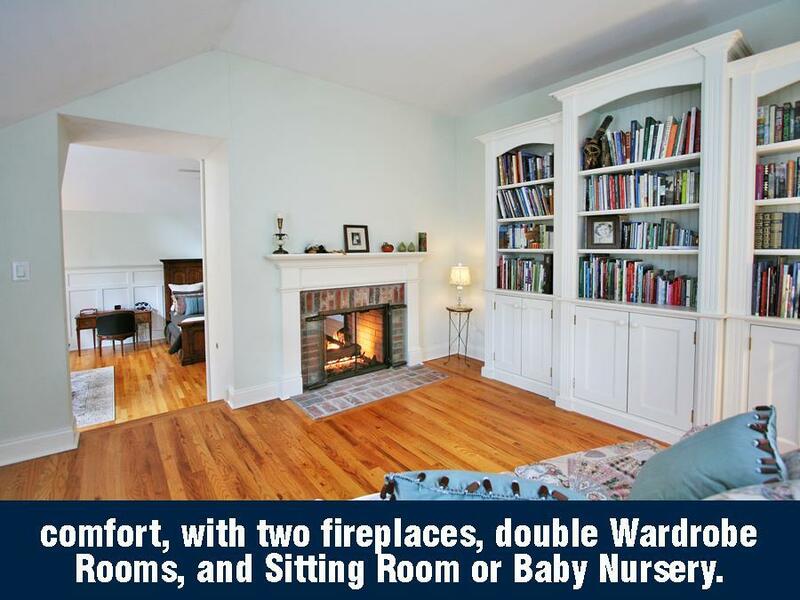 Located only 6 minutes to the Merritt Parkway, 10 minutes to Westport (with shopping, Metro North Train and I-95), and convenient to Weston’s top schools. This is a true “Lower Weston” location. A serene country setting, complete with moonscape and landscape lighting, Bradford Pear trees, White Heritage Birch trees, American Boxwood hedges, Crooked Willow trees and Lilac bushes. With six bedrooms, six bathrooms and over 7500 square feet of finished living space, this home’s constant commitment to the comfort and needs of its owners is evident in a floor plan that flows with an ease and subtlety matched solely by the serenity of the surrounding vistas. Broad corridors, a grand staircase amid a soaring two-story entry hall, nine foot ceilings elsewhere, and vaulted Living Room begin to reveal this home’s brilliant and breathtaking architecture, style and design. Flawlessly finished with fixtures and materials requisitioned from the finest local tradesmen and international importers, including special order, hand-crafted custom tile, sculpted sinks, and fixtures beautifully blending form and function, this estate is a unique, dramatic and distinctive design and style not found anywhere else. 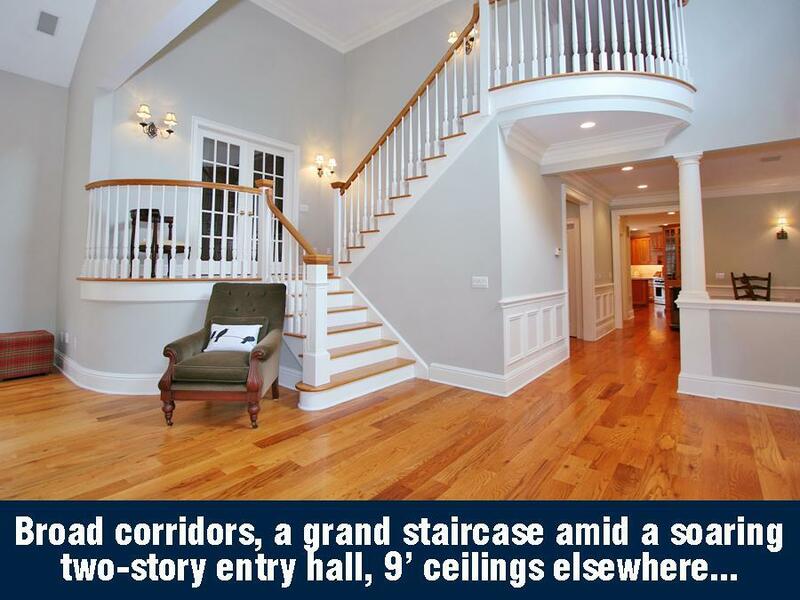 This home was constructed with proficiency for perfection which is evidenced through extensive crown molding and millwork throughout. The soaring fieldstone fireplace and hearth with crown and dental molding mantel, custom built glass fireplace doors with pewter trim. 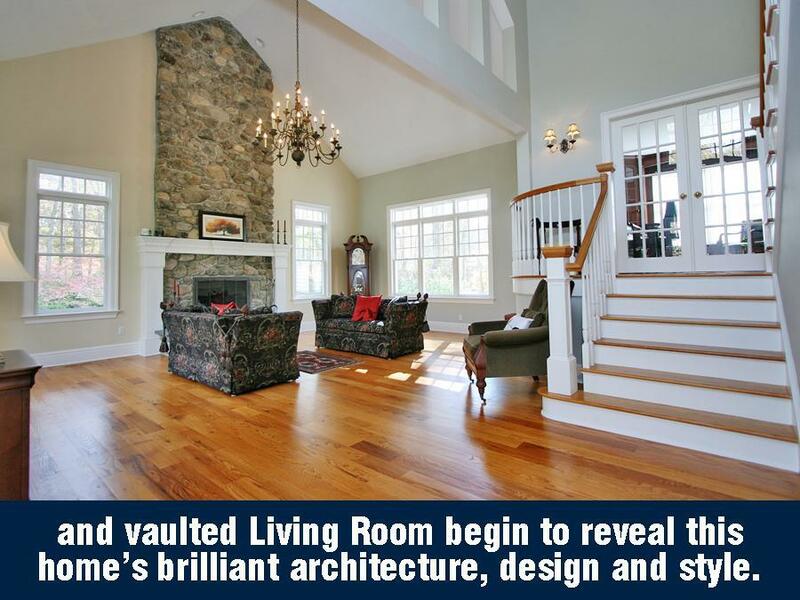 Rich random-width Chestnut-stained Oak hardwood floors tie together a thoroughly and thoughtfully conceived open floor plan. The home’s unique design is as perfectly suited for formal entertaining as it is for casual and daily living, and allows for flexible uses with convenient amenities. Whether it’s informal gatherings of dear friends, celebratory poolside cocktail parties, formal dinner entertaining, exciting SuperBowl® parties or quality family time, this home is the perfect host. 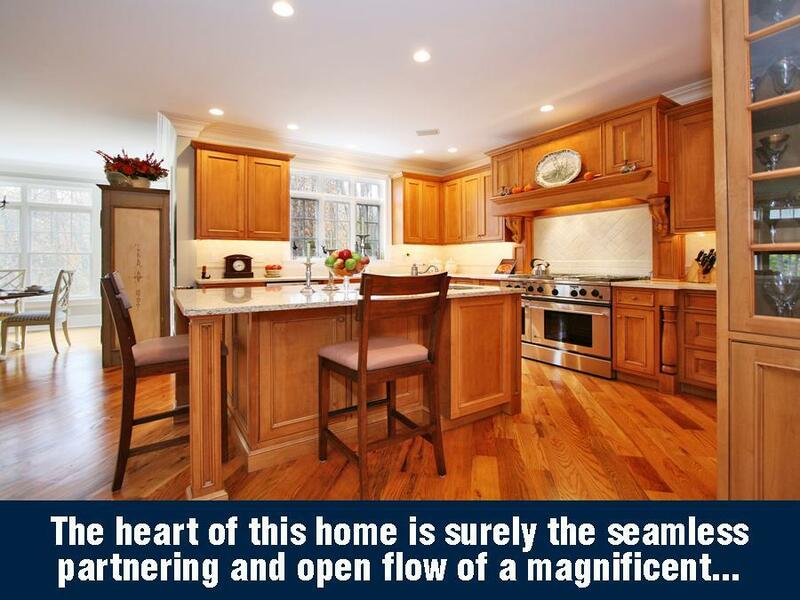 The heart of this home is surely the seamless partnering and open flow of a magnificent Kitchen with the adjoining Great Room that opens to the back yard and Mahogany deck. A chef’s dream of unrivaled design, the Kitchen ignites creativity in those with a love for fine cooking and memorable entertaining. Yet, the Maple glazed cabinets with under-cabinet lighting provide ample and convenient storage. The center island, breakfast nook and expansive counters covered with granite and limestone are as practical as they are pretty. All top-end commercial appliances including a six-burner, stainless steel, gas commercial range with center grill and double, self-cleaning electric ovens with convection cooking; a Bosch® dishwasher; microwave; and Sub-Zero® side-by-side refrigerator … they all serve equally well in preparing a spontaneous snack or simple family meal. An English farm-style sink adds style while an oversized pantry adds function. The Great Room or Family Room derives a subtle elegance from decorative columns and a warm brick fireplace with a unique antique barn-beam mantel. 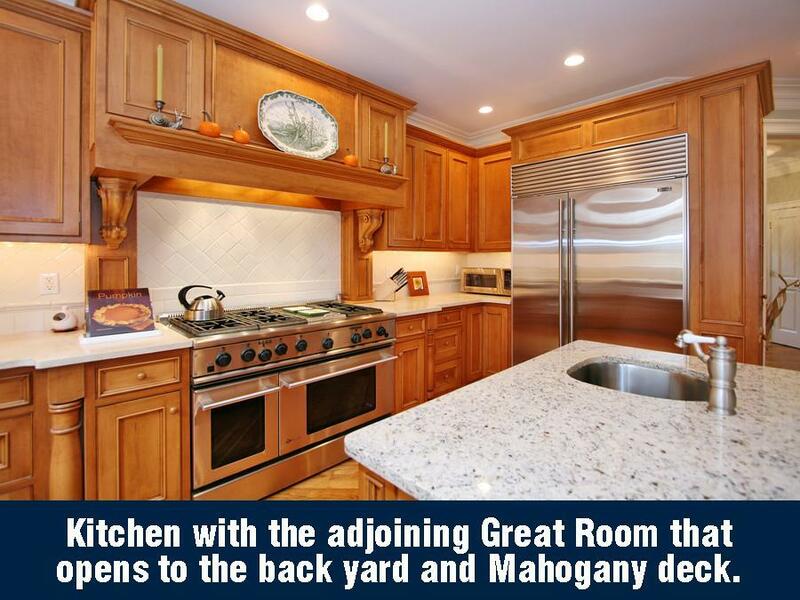 Paired with a Maplewood whole-house sound and entertainment system; plus a wet-bar with hammered Nickel sink, granite counter and bead board backsplash; and wine cooler, beverage cooler and ice-maker, this room becomes the hub of family living. 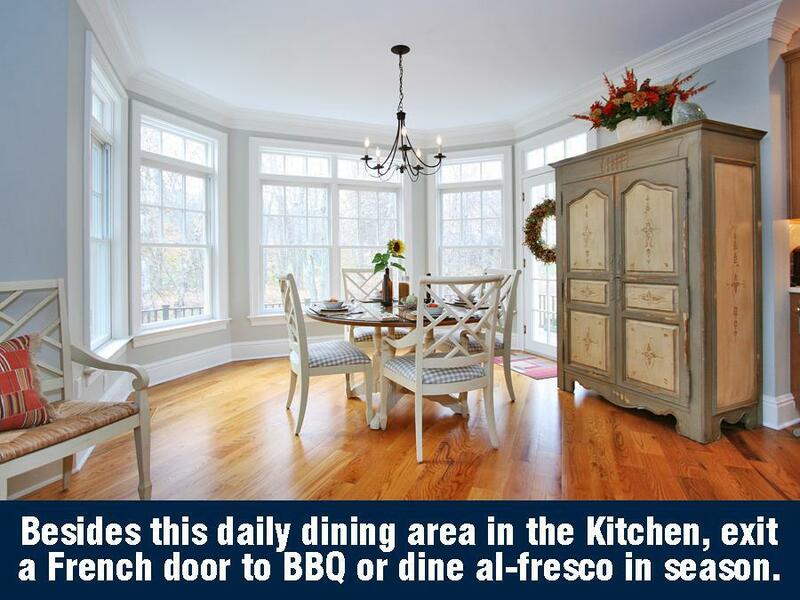 The daily Dining Area in the middle of the Kitchen and Great Room opens through a French door to the backyard and Mahogany deck, great for outdoor barbecuing and dining al-fresco when the weather is nice. 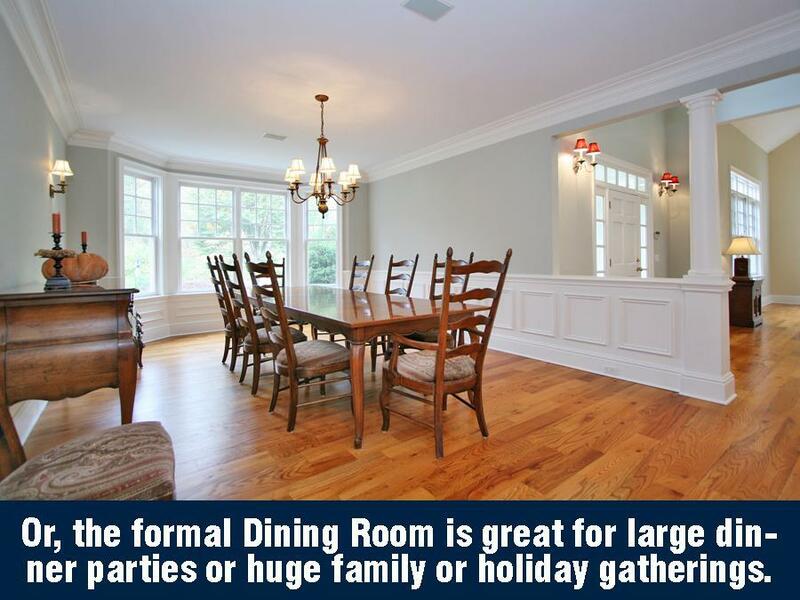 A formal, well-proportioned and flexible Dining Room works just as well for smaller, intimate gatherings with dear friends as it does for large dinner parties or huge family holiday gatherings. Behind elegant French doors, the dual purpose Library and Home Office is exceptional in model and function, replete with rich Cherry wood raised wall paneling and floor-to-ceiling built-ins and bookcases and cabinetry with file drawers, recessed computer workstation, Cherry crown molding, and recessed lighting on dimmers illuminating glass-front cabinets … to set the perfect ambience for the mood, whether it’s a retreat for an after-dinner Cognac, a productive day working from home, or a peaceful and private reading space for a lazy Saturday afternoon with a classic novel. 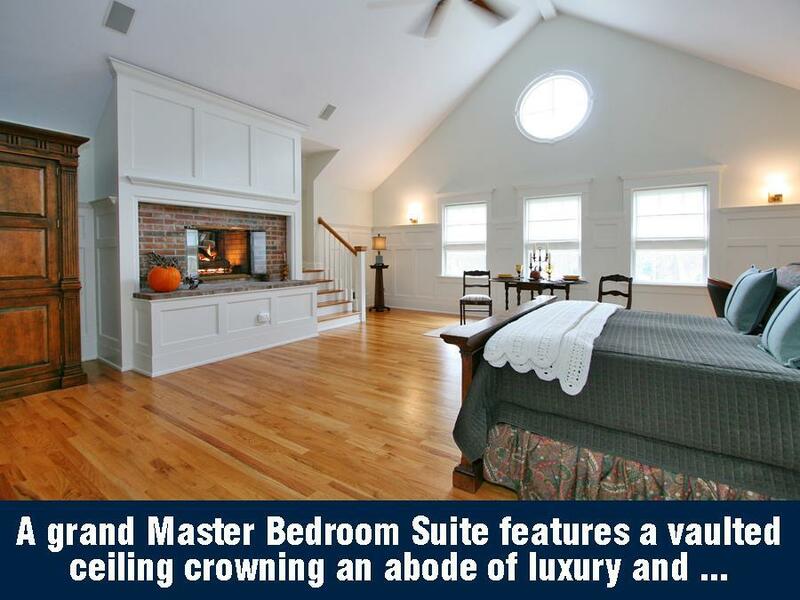 The grand Master Bedroom suite features a vaulted ceiling crowning an abode of luxury and comfort including two fireplaces, a Sitting Room or Baby Nursery, capacious double Wardrobe Rooms, and a luxurious spa bath with soaking tub and frameless glass shower. In the main sleeping quarters, White Oak raised wall paneling with crown molding and a Casablanca New Orleans Centennial ceiling fan combine with an antique-brick hearth (with remote control gas fireplace and natural-looking realfyre® brand log set) to predict dream-filled, restful nights. The Master Spa Bath features a double-sink Cherry and granite vanity, Jacuzzi® tub, walk-in spacious shower with sitting bench and double showerheads, enclosed by frameless glass, all set on authentic Durango® tumbled stone – a high-quality travertine that has an aged appearance which replicates the “Old World” look and feel of ancient Europe. The Sitting Room features the second fireplace with glass doors and antique brass trim, as well as custom bookcases, with all moldings and cornices scribed on-site. The remaining Bedrooms throughout this residence are each spacious enough for flexible furniture layouts and configurations. 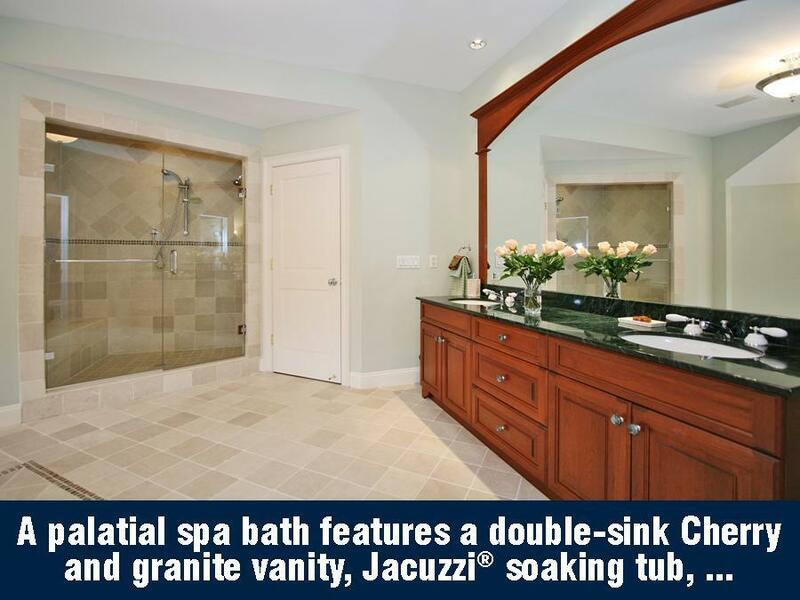 And each has a large closet and a unique bathroom stylish enough to leave an impression yet neutral enough that it will go with various and versatile decorating styles, tastes and personal preferences. 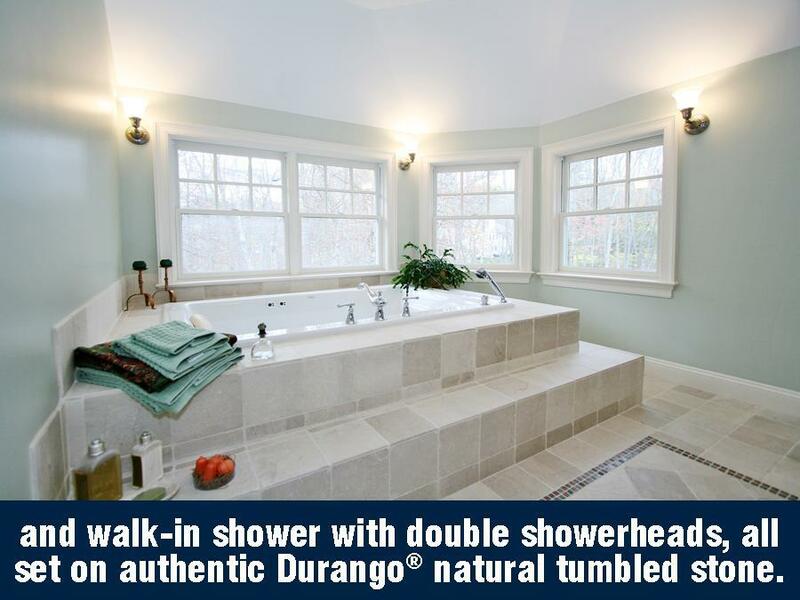 Beautifully tiled showers are enclosed by elegant and durable frameless shower enclosures with half-inch tempered glass, chrome hinges and handles. A finished attic space on the third floor provides a perfect place for a hobby room, or even a second home office. Alternatively, this level would make a great in-law or nanny suite, with an additional bedroom and full bath finished with cottage paneling on the walls, white Carerra tumbled marble floors, and walk-in shower with Pewter bead accent tiles, and a vanity with matching honed Carerra marble counter, and under mount Kohler sink and Revival fixtures. 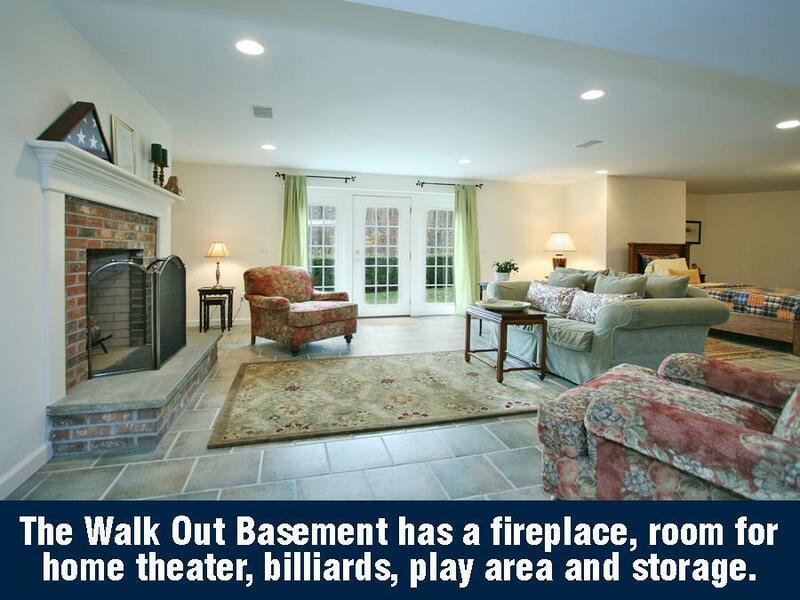 The finished Walkout Basement is a great bonus. 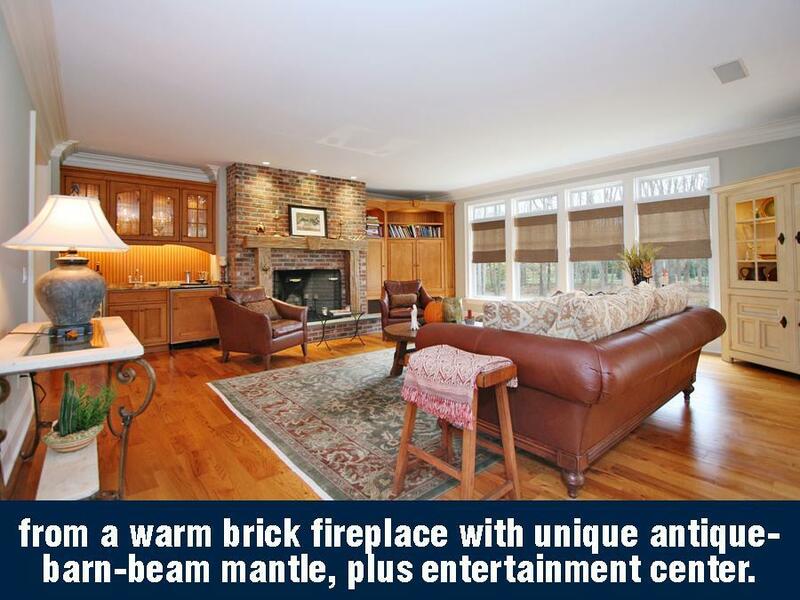 With its own brick hearth fireplace with crown molding mantel and 12 by 12 ceramic floor tiling, this level offers approximately 1800 square feet of extra living space. With several large, open areas it works great for a big screen TV with Xbox® or Wii™ and billiards, ping pong, foosball, air hockey, or even a baby-proof play area. 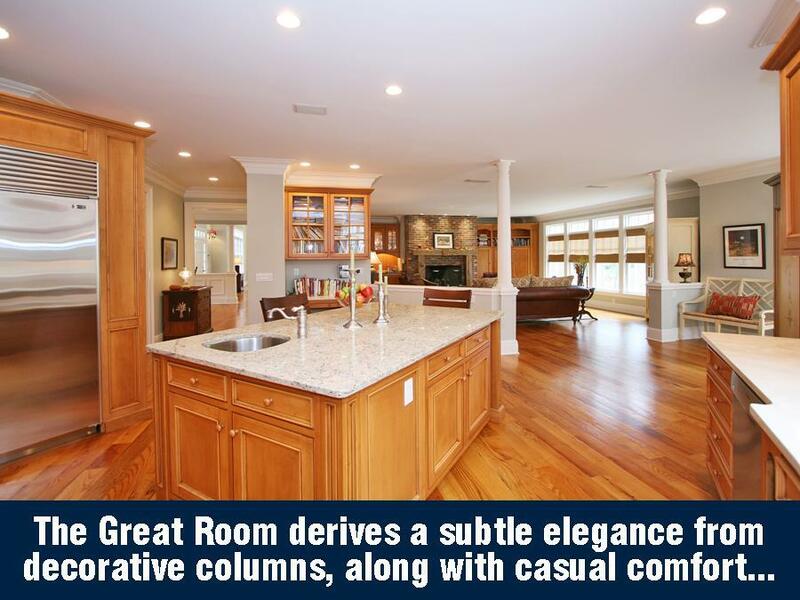 This flexible area also includes a possible wine cellar and three large storage rooms (one with floor to ceiling cabinets for board games, toys, and seasonal holiday decorations). This is also where you find a complete In-Home Gym with special flooring, mirrored walls and professional weight lifting and cardiovascular training equipment and full private bath. Less noticeable although equally notable are a number of other invaluable and insightful features, not the least of which is a complete EcoWater® water treatment and filtration system, which means you get cleaner, softer clothes and towels; more luxurious, foaming baths; extended life for appliances, faucets and pipes; and clearer, taste and odor-free ice cubes. The garage has built-in Garage Grids storage system, providing versatile and highly efficient storage, plus Rust-Oleum® EPOXY SHIELD floor coating preserving a clean, auto showroom look and feel. Sizable closets are conveniently located throughout the house (with California Closets® style organization systems), and there are even several immense storage rooms in the basement and one in the attic. Of course, there are niceties like a central vacuum system and provisions have been made for high-speed Internet service. This home was designed and constructed by the renowned Robert Kelley, whose houses are lauded for striking craftsmanship and enduring value. Sought after by a long list of hopeful clients, Kelley only accepts the most profound projects. His reputation for building quality luxury homes adds to resale value: a Kelley home comes with a stamp of quality. 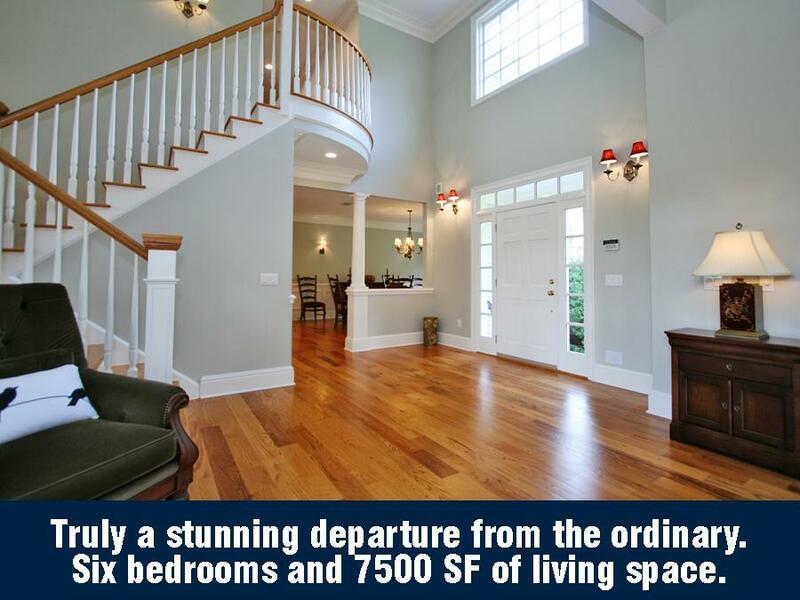 Kelley has certainly proved his prowess with this traditional Colonial that is truly a stunning departure from the ordinary. Thoughtfully and insightfully designed. Versatile and flexible. Formal and elegant while comfortable and cozy. This home reflects an intuitive understanding of the way today’s families live and the needs of tomorrow.